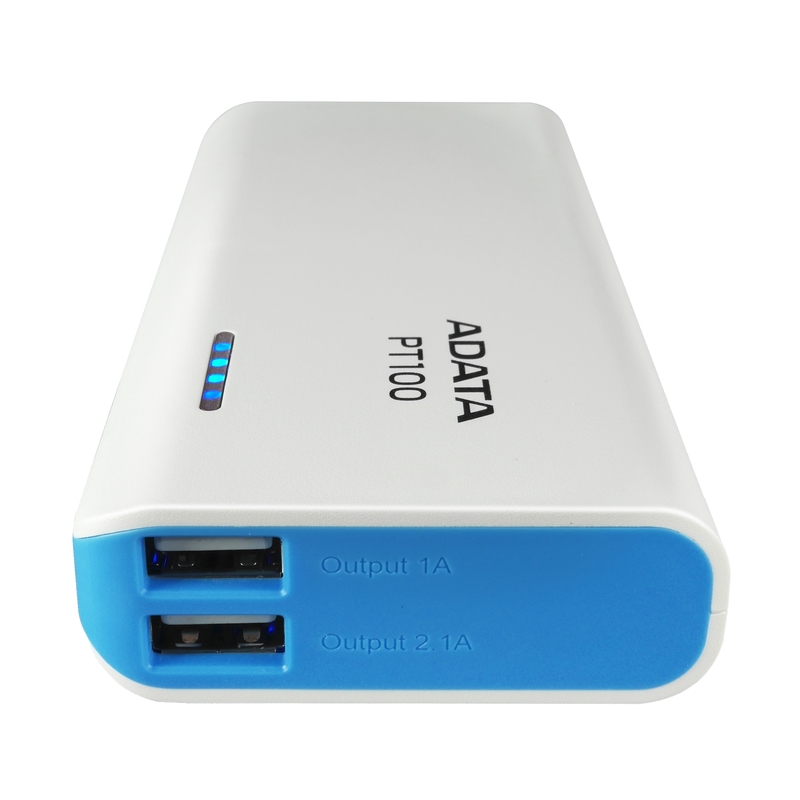 Taipei, Taiwan – December 17, 2014 – ADATA™ Technology, a leading global manufacturer of high-performance DRAM memory modules and NAND Flash application products, today launches the PT100 Power Bank. 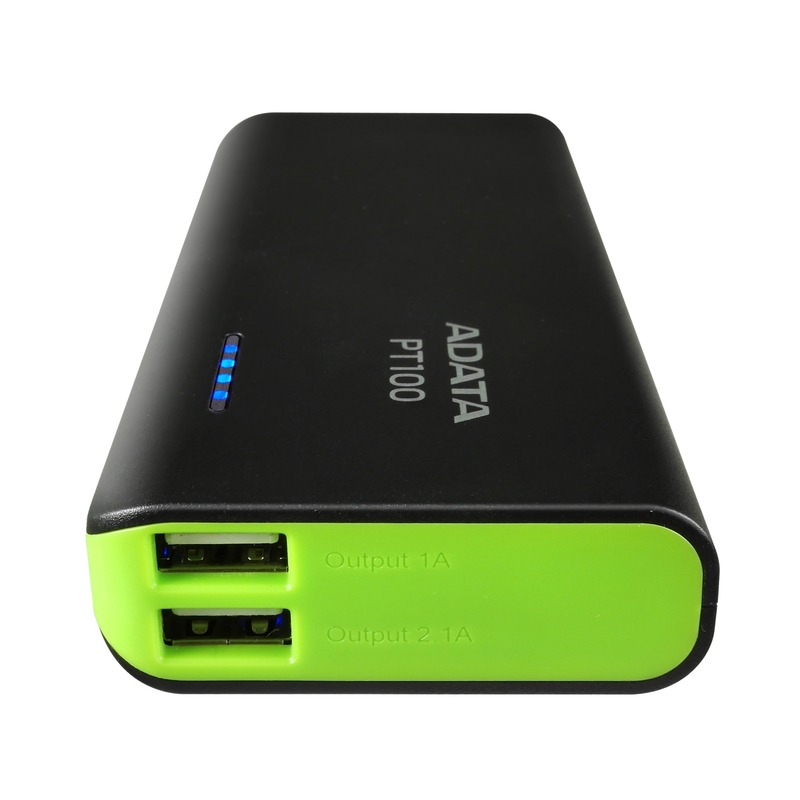 With a high 10000mAh capacity and dual USB outlets, you can charge your smartphone and tablet simultaneously and quickly. 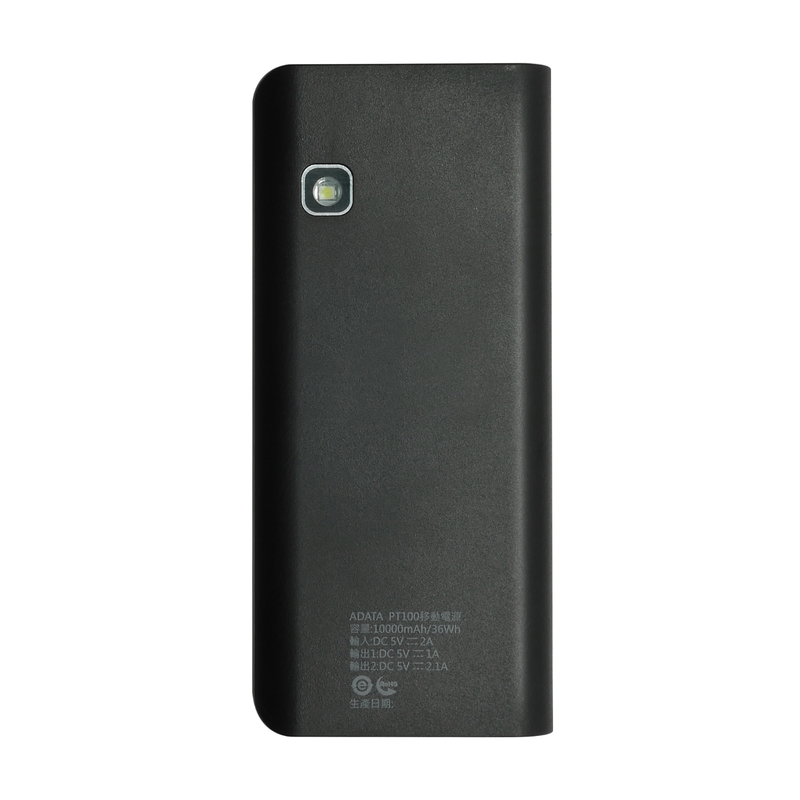 It also serves as a LED flashlight to light up your mobile life. 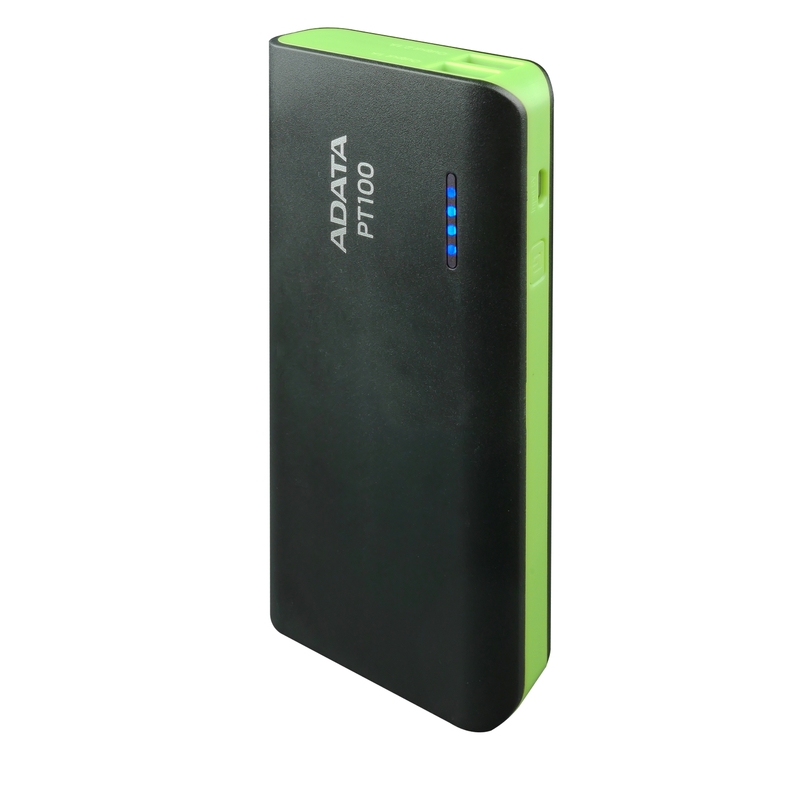 With a streamlined easy-grip design, the PT100 power bank is easy to carry wherever you go. It’s available in two color combos – white/blue and black/green. 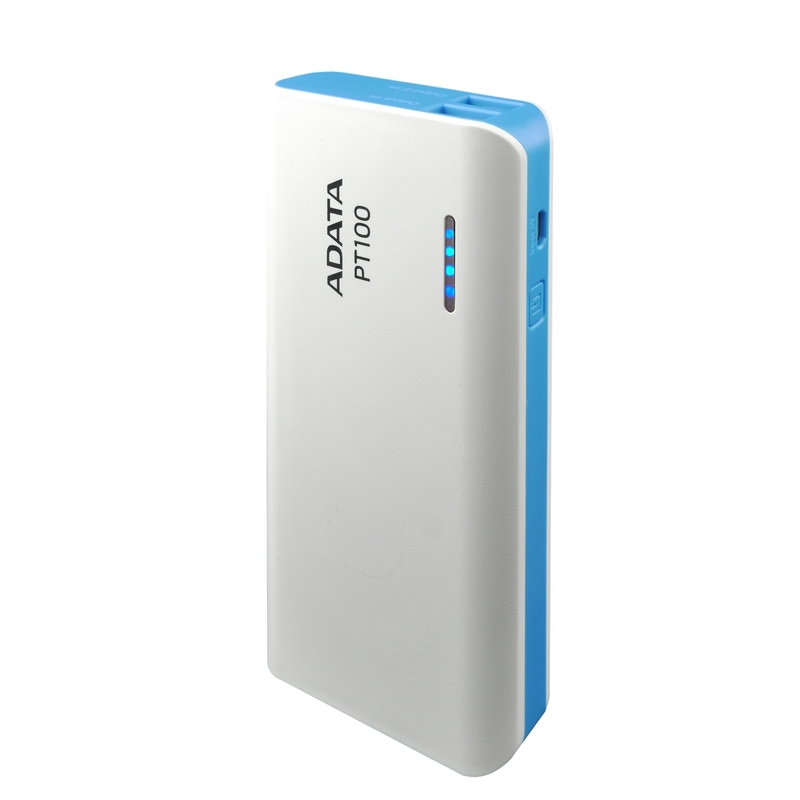 With a whopping 10000mAh charge capacity, the PT100 provides two 2.1A output USB outlets for simultaneous and fast charging of smartphones and tablets. 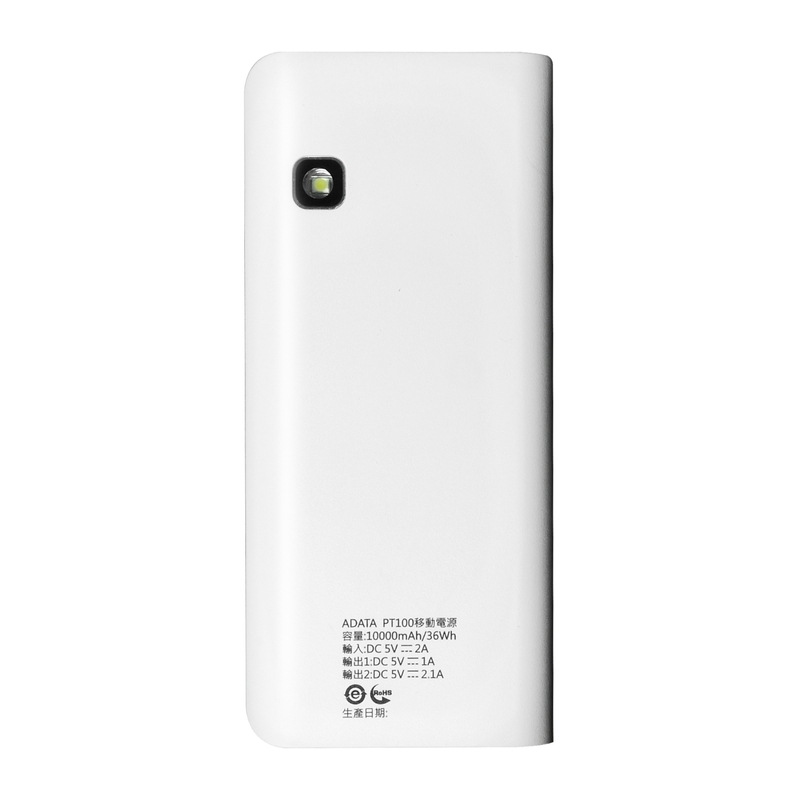 It’s equipped with a USB charge inlet and dual outlets for synchronous charge and discharge to save you precious time. 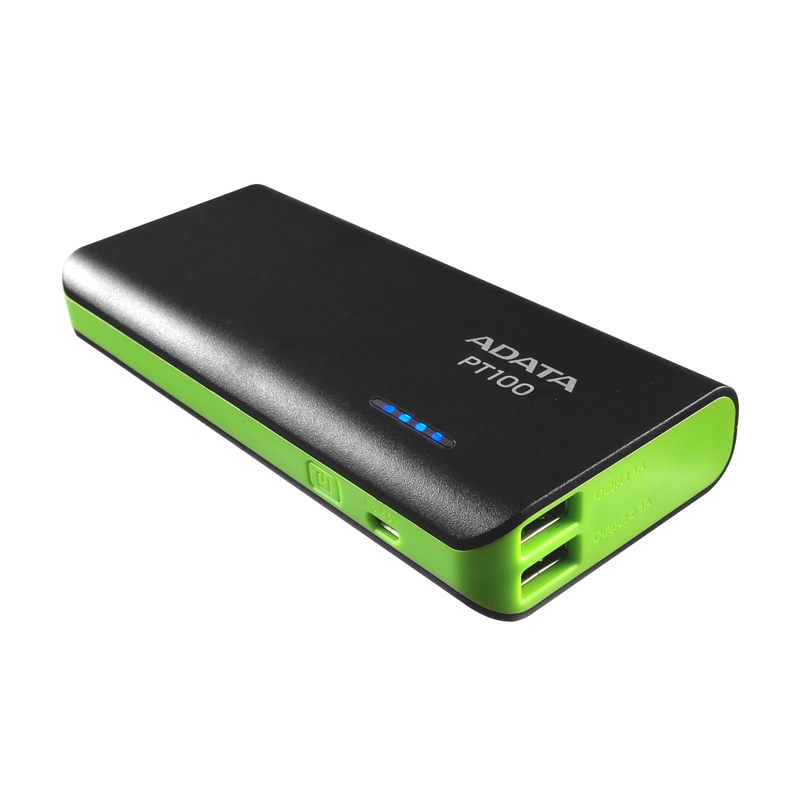 ADATA's PT100 also works as an LED flashlight with 4 light modes including flashlight, accent light, rapid flashlighting light and slow flashlighting light. Each light mode can be switched by simply pressing a button. Whenever you need to use your PT100’s flashlight, it remembers which mode you last used. 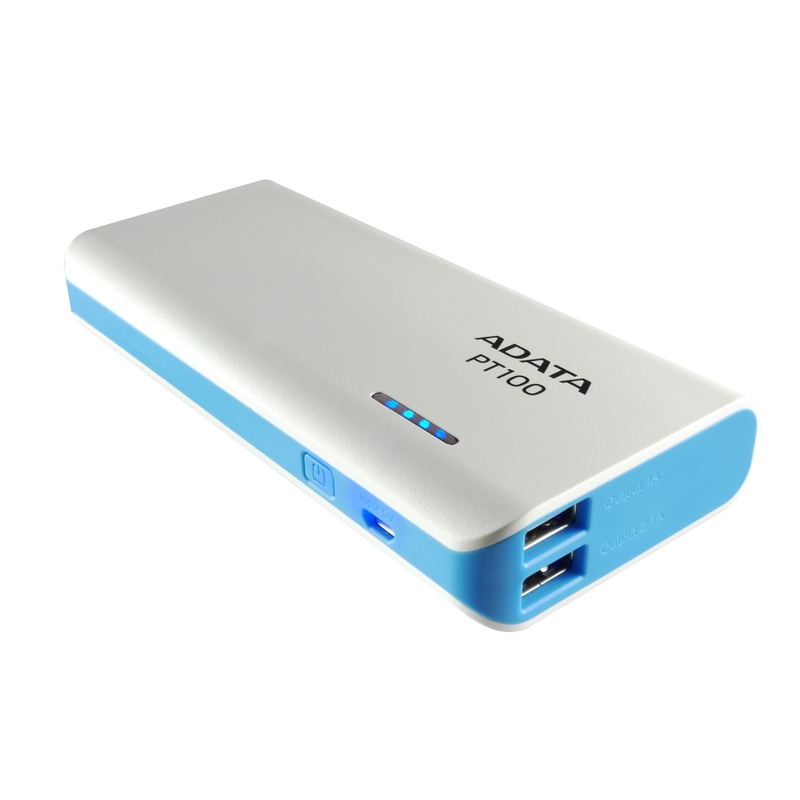 The PT100 includes multiple safety features as well – ODP (Over-Discharge Protection), OCP (Over-Current Protection), SCP (Short Circuit Protection), OVP (Over-Voltage Protection) and OCP (Overcharge Protection) to protect the battery and the device you’re charging. 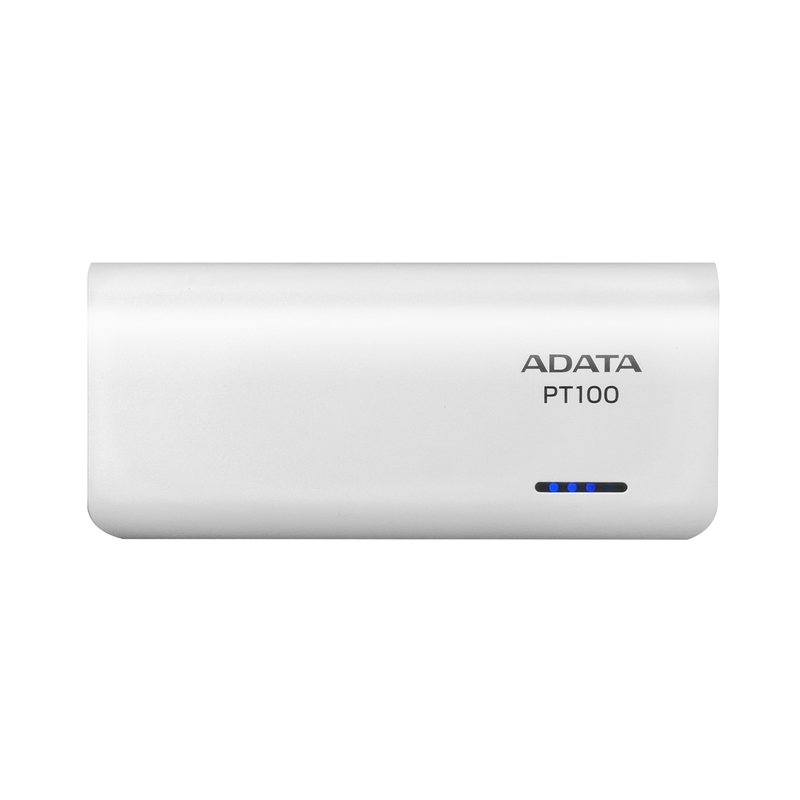 If the PT100 is idle, disconnected from the device, or if your device is fully charged for over 20 seconds, it automatically turns off as an extra safety feature. 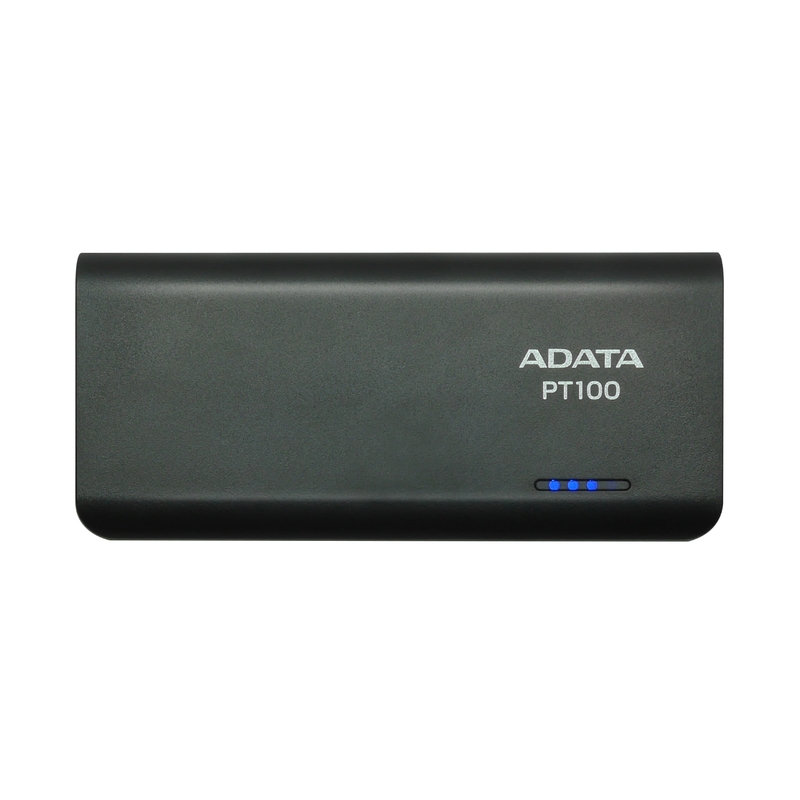 The ADATA PT100 will be available through selected retailers and distributors, at a MSRP of PH1080.